WHO WILL BE THE FASTEST GR SUPRA DRIVER? The GR Supra GT Cup will run from April to October 2019 with 13 preliminary rounds worldwide, culminating in a final at the Tokyo Motor Show. 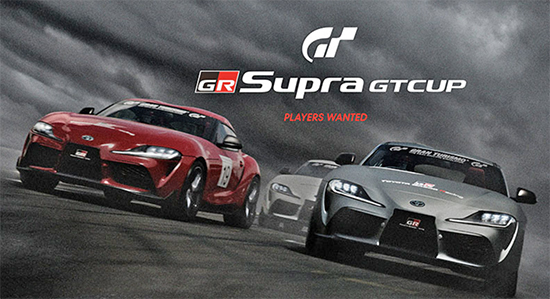 To be eligible to take part, participants must own Gran Turismo Sport for PS4 and PS4 software, and must also own a GR Supra on Gran Turismo. The age qualification is six years or older3. Under the laws of participating countries, even if participants are in the top qualifying rounds online, those who are under the age of 13 years may not be able to participate in the final (real event).